Don. 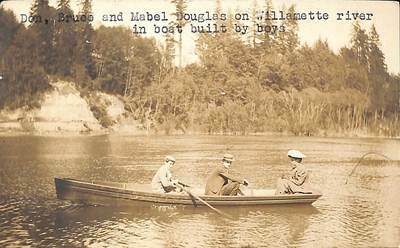 Bruce, and Mabel Douglas on the Willamette River in a boat made by Don and Bruce Douglas. Date unknown.